I've had quite an exciting week this week in regards to new ideas, new things and business opportunities! This time last week I was a seller at Crikey, it's vintage in Exeter, selling all my vintage and handmade bits. . Hearing some of the feedback from buyers was definitely a confidence booster, and having confidence in what you do is definitely the key to a successful business! Unfortunately I was kept quite busy on the day and forgot to take more pictures, but this basically sums up what my stuff looked like on the rails! Whilst I was there I picked up a few bits for myself too. My absolute favorite thing I bought on the day was a beautiful headband from Crown & Glory. I literally haven't taken it off and it matches my hair so well! I also got a quirky little hair grip with a dog on that I just think is absolutely hilarious! As well as these little buys I finally received the CD i've been waiting for for absolutely ages, it definitely got sent all around the world before it finally got to me, I nearly forgot about it. But if you need something to get ready to before a night out, this is definitely the best CD to invest in! I'm no music critic or anything so i'll just leave it at IT'S AMAZING. Fabric is a London nightclub, that releases monthly compilations mixed by different DJ's. I bought the album that was mixed by Spank Rock, but I definitely want to get the Diplo and Evil Nine versions as well. This week I finished a bespoke piece, which I so wish I could keep for myself! 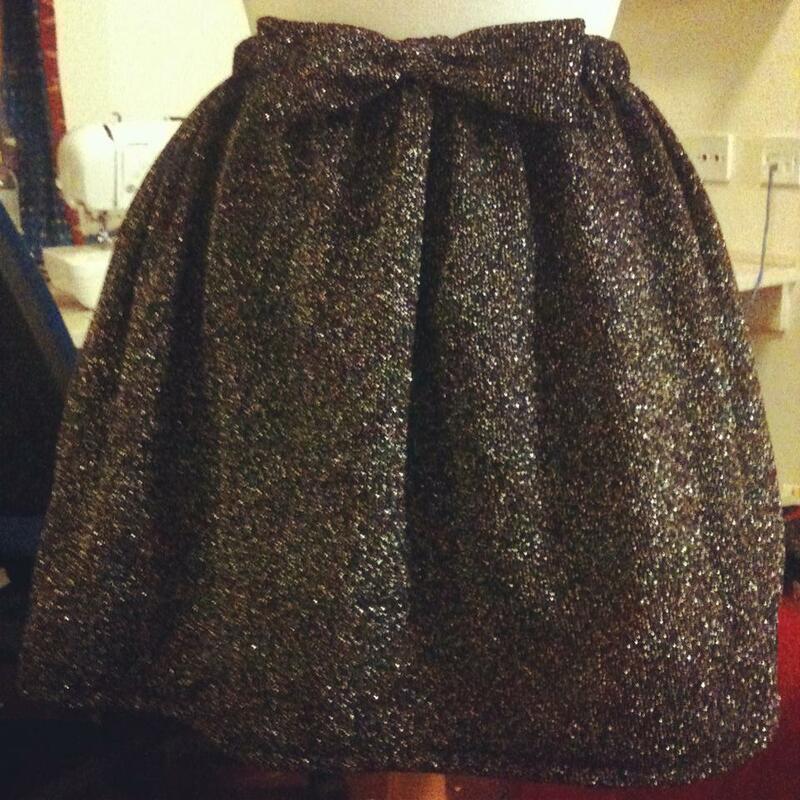 I made a circle skirt using some lovely glittery fabric, and I was asked to make a pencil skirt version. I'm not a huge fan of glitter but it's nice and subtle, pain in the arse to work with though, couldn't wait to finish it so I didn't have to deal with that evil fabric anymore! The first picture is the original skirt, and underneath is the newest. Excuse the poor quality, it was taken on my phone and it was a quick picture to show the buyer the length etc.